It’s Saturday! Busy day ahead…cleaning and organizing with Mom, cleaning and organizing at my house, getting my hair cut, and gettin’ down on some Indian food for my brother-in-law’s birthday! Can’t wait. What do you think of the new font? I’m surprised I didn’t try this one earlier. I like it! I had a monumental trip to the pet store yesterday. About every two months I make the “big trip” to the pet store for all of Teton’s staple items. Of course, I have to call this the “big trip” because we all know how many “little trips” I make for non-staple items. In the past when I’ve referenced a small, local pet store, I’ve usually been talking about my go-to place, Pet Country, which is located in Kent, WA. Pet Country is awesome! I swear, every time I go in they have some new amazing product that I’ve been dying to get for TLB or, better yet, an entire shelf of awesome, all-natural treats for 50% off or some other crazy discount! This makes me very happy. Also, Pet Country almost always has cheaper prices than every other pet store in my area on products that I buy regularly for TLB. Check out all of the great stuff I got! Now, to some of you, spending over $60 at a pet store might make you cringe, but I know for a fact that if I were to have purchased the same exact products at a different store it would be been at least $80. Also, please understand that aside from the actual dog food, everything that was purchased will be spread out over a number of months. It’s not like TLB will wipe out all of this food and these treats in a matter of days (or even weeks!). I’ll definitely review all of these products down the road, but today’s blog (not so much of a review, really) is about the ch-ch-ch-changes that I’ve made in TLB’s diet. 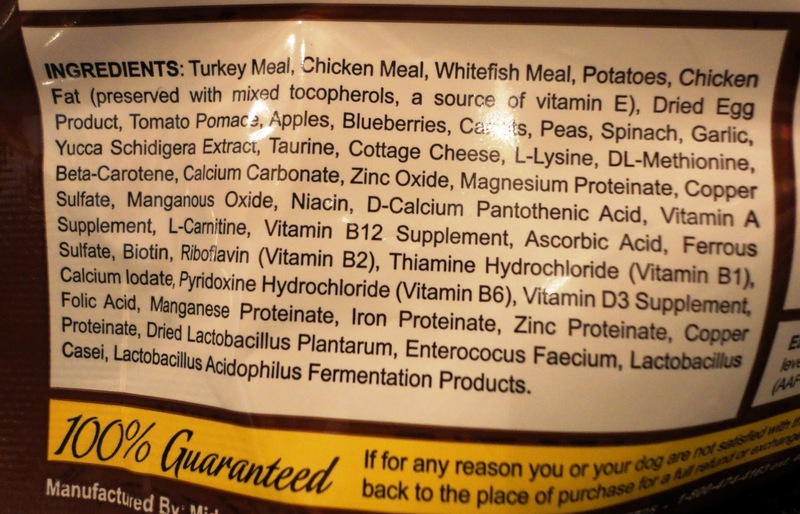 For the past two years, TLB has been eating only Natural Balance dog food. We’ve never had a problem with Natural Balance and he’s always been a fan. I like Natural Balance and they make a lot of good products. But they’ve also had a few recalls in the past year, and that makes me nervous. So being that TLB just turned two and I’m finally brave enough to switch dog food, I figured yesterday was as good a day as any to get the ball rolling. After a long talk with Pet Country’s owner, the super knowledgeable Mike, I decided on a new food for T.
Mike and I talked at length about which new food to try. Let me tell you, he really knew his stuff! I was debating between Earthborn Holistic, Taste of the Wild (which was recommended to me by my friend whose dog has a wheat allergy), and Blue Buffalo. In the end, I chose Earthborn Holistic because it is grain-free, high in protein, filled with yummy ingredients, and has a “UPCs for Trees” program where a tree is planted for every UPC label you send in! So cool! 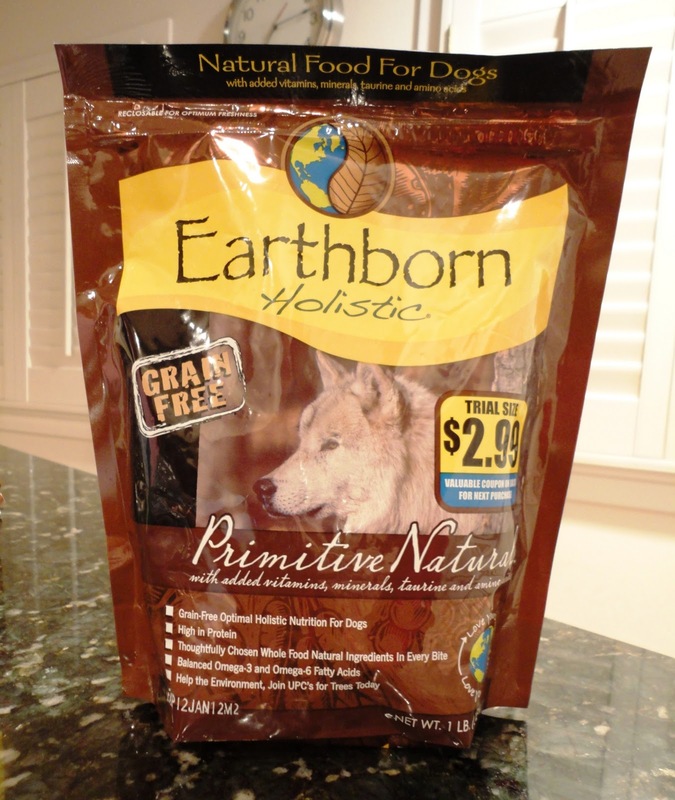 An added bonus: Earthborn Holistic is actually cheaper than the Natural Balance food that I’ve been buying for the past two years! I bought the 1 lb sample bag and the 6 lb bag. 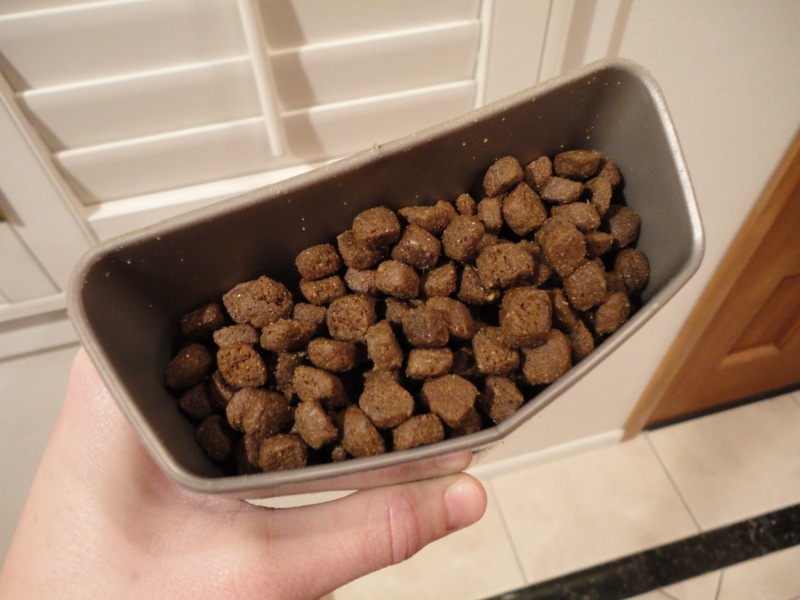 Here’s why: The 1 lb sample bag is perfect for when you are switching your dog’s food. 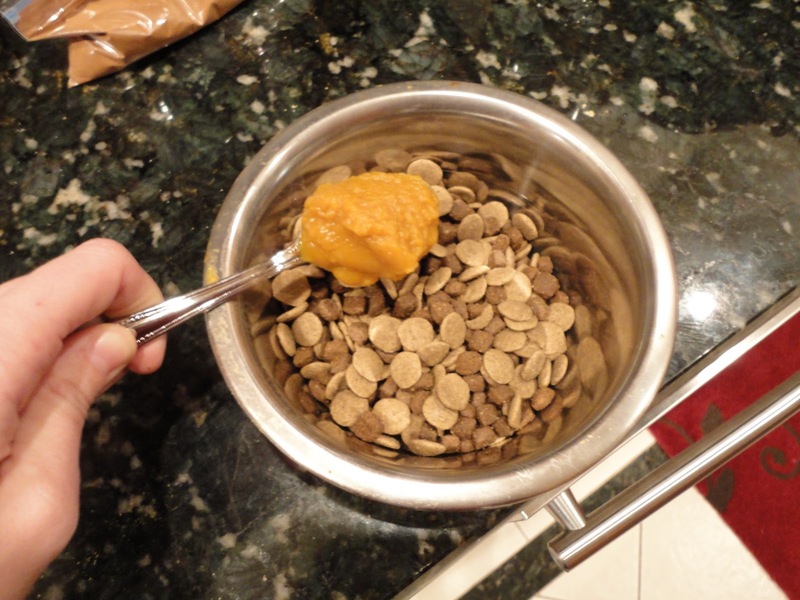 The first day that you introduce your dog to the new food, you use 75% his or her old food and 25% new food. 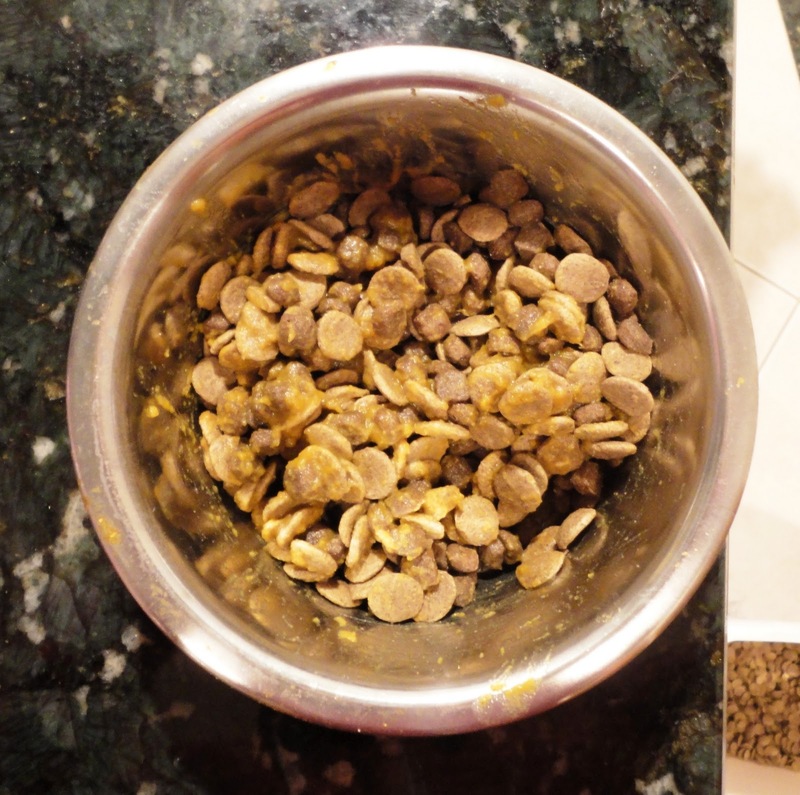 Each day you increase the amount of new food until that’s all your dog is eating. 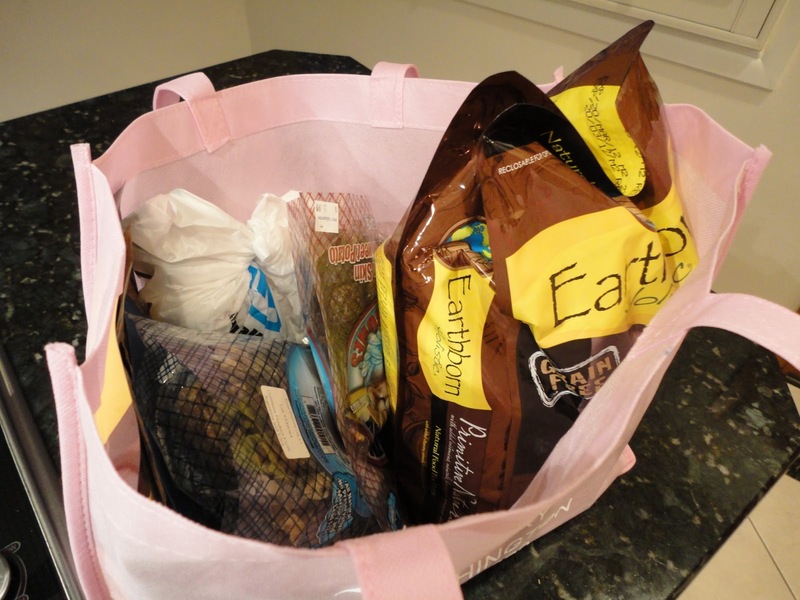 A sample-size bag is great because it’ll give you an idea of whether your dog likes the new food and can digest it well without breaking the bank. This particular sample bag is pretty rad because it has a $3 coupon on the back for any 6 lb or larger bag of Earthborn Holistic food. 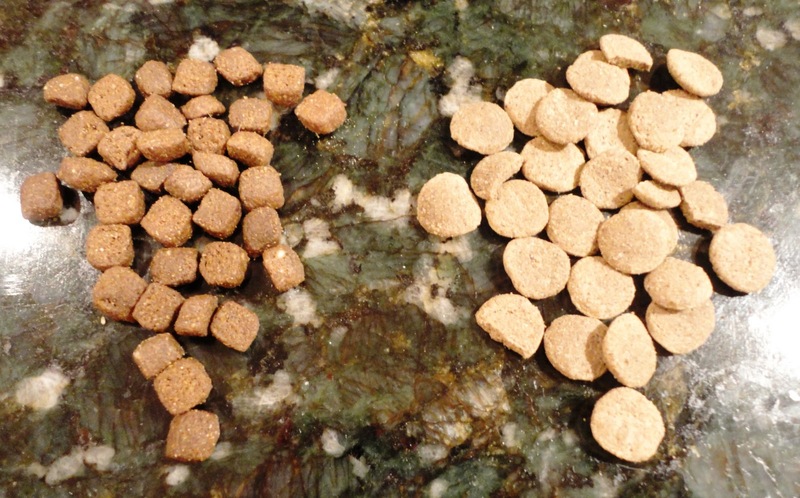 A note for those of you thinking about switching your dog’s food: If your dog either does not like the new food that you’ve purchased or does not digest it well, your pet store should absolutely take it back, with or without a receipt. Of course, it’s always smart to keep those receipts, but please don’t waste your money by tossing or keeping a bag of food that you’ll never use! 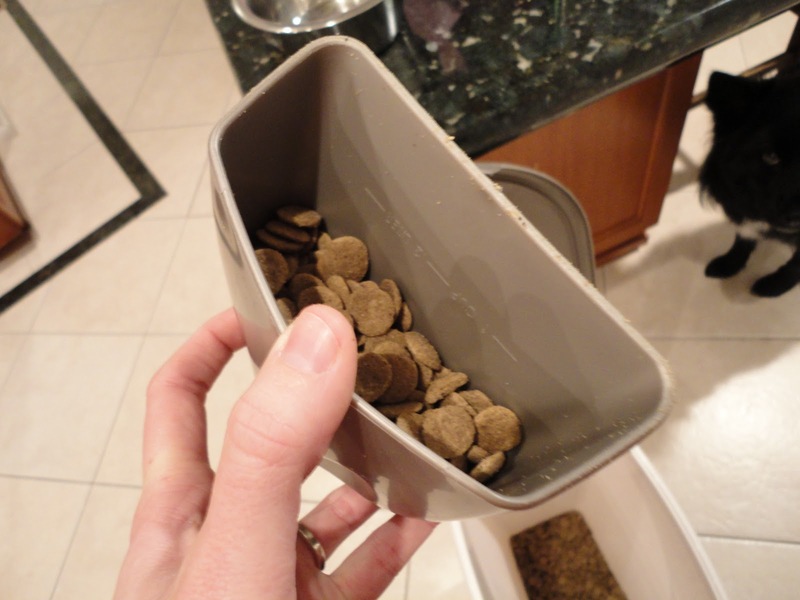 Or, better yet, consider donating unused dog food (and any other unused or gently-used pet product) to a local animal shelter or rescue group. I think I’m just going to have to get over the fact that there are things on this (and every) ingredient list that I can’t pronounce and don’t understand. Wouldn’t it be fabulous if there were some website where you could input a list of ingredients and it would break everything down in simple English for you? If that already exists someone needs to tell me about it ASAP. Here is an old and new food side-by-side comparison. Earthborn Holistic Primitive Natural on the left and Natural Balance Lamb and Rice on the right. I love the small bites. TLB is not happy about the photo shoot. How ’bout you drop some of that food right down here, lady? 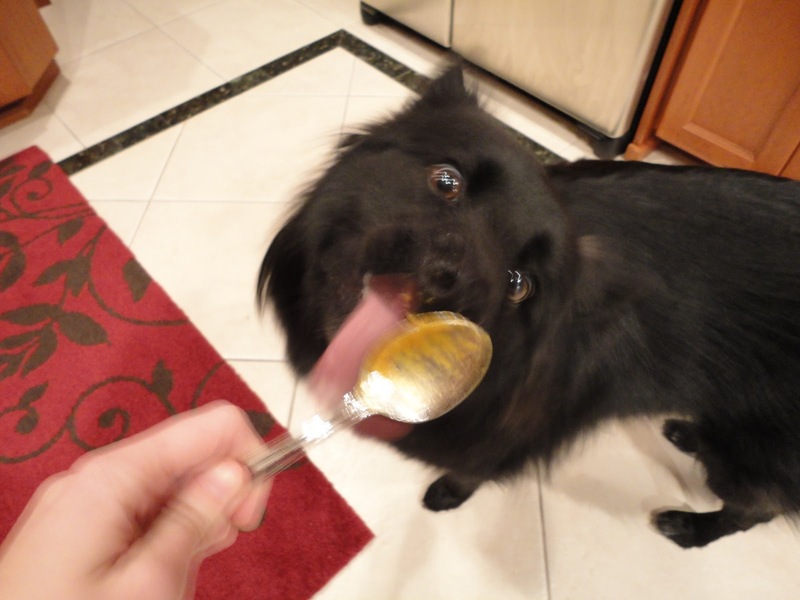 Step 1) Fill the scoop (TLB eats one cup of food per day plus two to three spoonfuls of a yummy mix-in) with 75% of the old food. Step 2) Fill the remainder of the scoop with new food (about 25%). 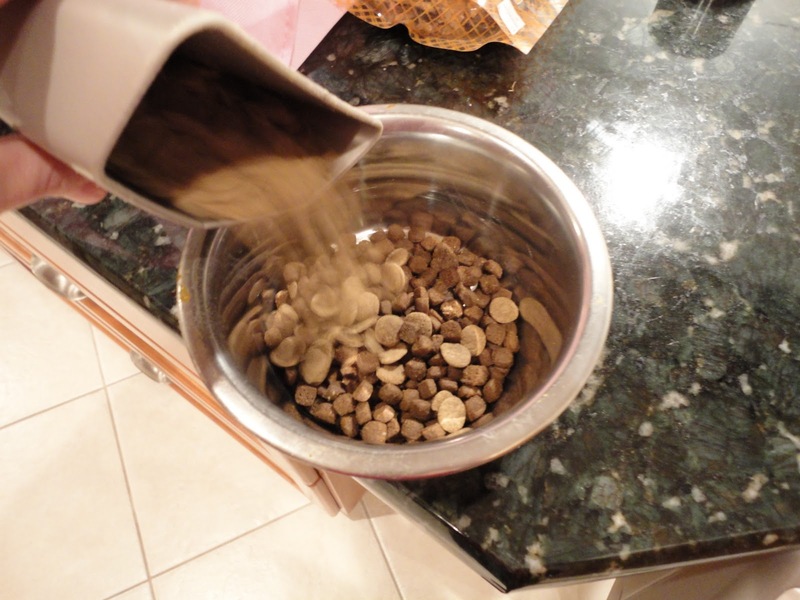 Step 3) Pour the food mixture into your dog’s bowl and blend together. 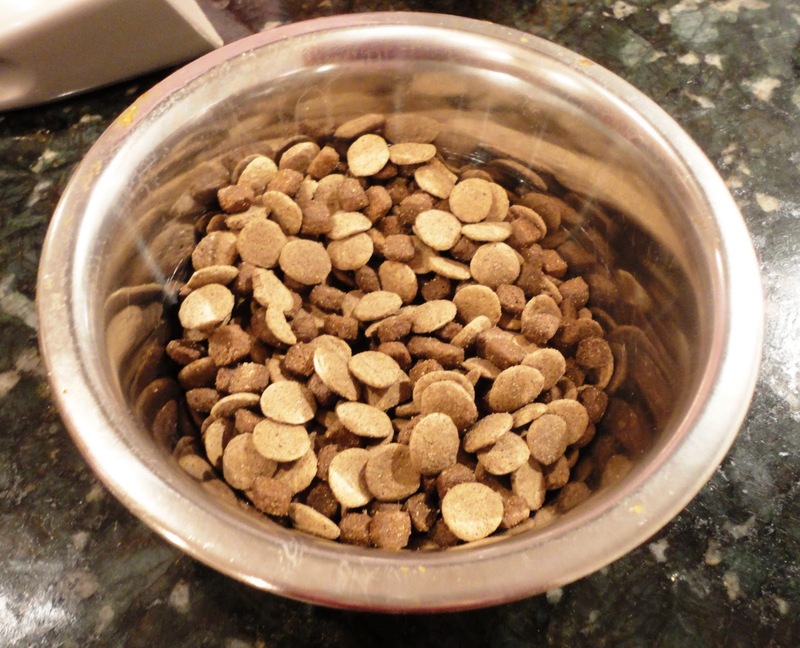 Step 4) If you just give your dog dry food, you’re done! If you add a mix in, do so now. 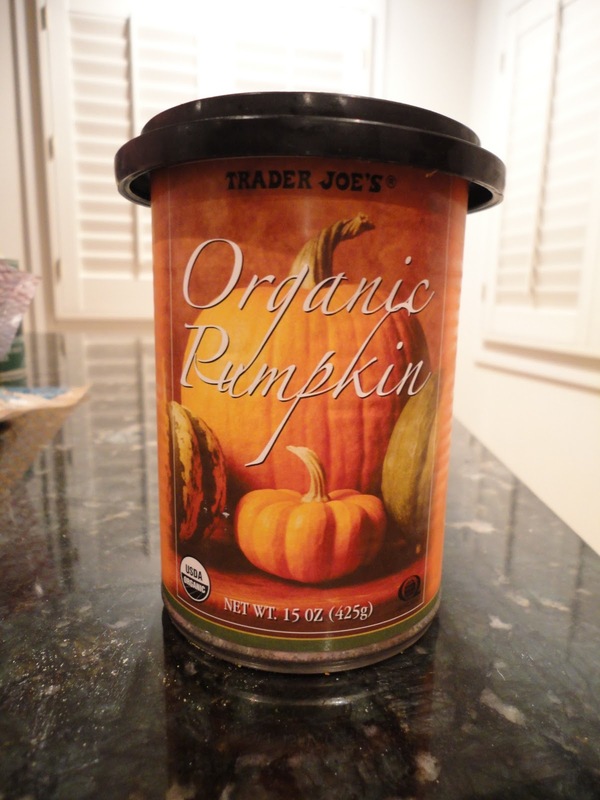 Yesterday we did good ol’ pumpkin, which is great for dogs and is a cheaper alternative to canned dog food. Step 5) Sit back and watch your fuzzy buddy devour their food! TLB acted as though his dinner last night was the best thing he’s ever had in his entire life. Aside from a few puppy farts last night and a semi-solid poo this morning (always check your dog’s poo, people! It tells you a lot about how their little bodies are working! ), TLB seems to be digesting the new food well. 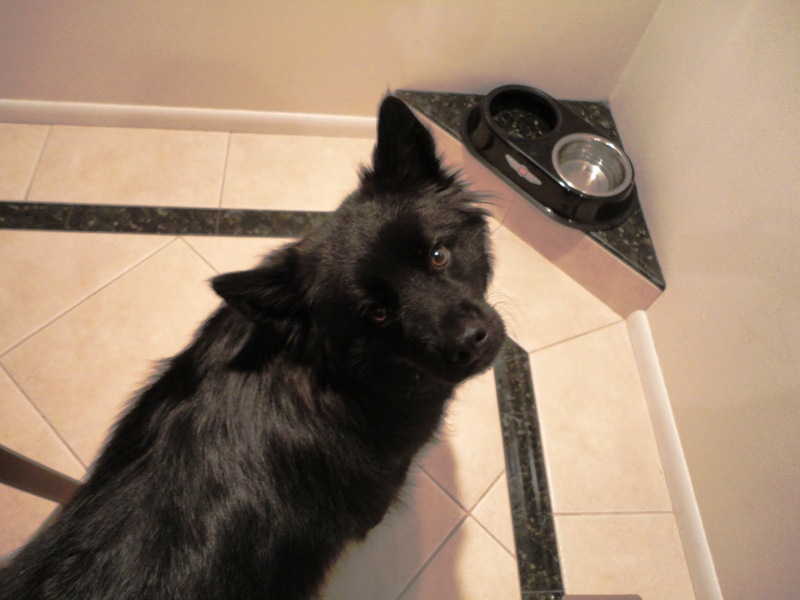 Only time will tell, however, as we move toward incorporating more and more of the new food into his diet. Since I’m not rating Earthborn Holistic Primitive Natural food today because it’s too early to tell, I’d like to rate Pet Country in Kent, WA. I give Pet Country and its staff a nine out of 10. The staff is friendly, incredibly knowledgeable, and patient. 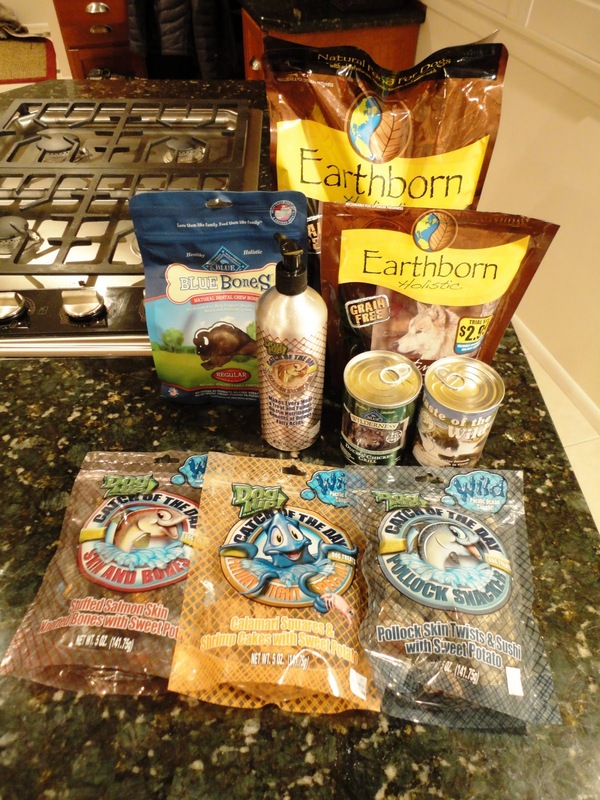 Pet Country carries a wide variety of products and is always bringing in new ones, which I love. The vast majority of the products that you’ll find at Pet Country are good for your pet (healthy and minimal ingredients) and are priced well. If you are ever in Kent stop by Pet Country. You won’t be disappointed. I’m off to enjoy the weekend! Hope you have a great one, as well! Posted on November 20, 2010 May 14, 2011 by Shannon	This entry was posted in This 'N' That. Bookmark the permalink.